Green Bay Packers defensive end Muhammad Wilkerson was carted off the field and taken by ambulance to a hospital in Washington D.C. on Sunday. Wilkerson remained there overnight into Monday because he needed a procedure that would allow him to return to Green Bay. Wilkerson suffered a significant ankle injury and will be lost for the season. Former Northwestern Wildcat Dean Lowry took his place and played a total of 24 snaps in the loss to the Redskins. Lowry and Montravius Adams will continue to fill the shoes of Wilkerson, which won’t be easy. Wilkerson came to Green Bay on a one-year deal, hoping to play well to get a bigger contract moving forward. 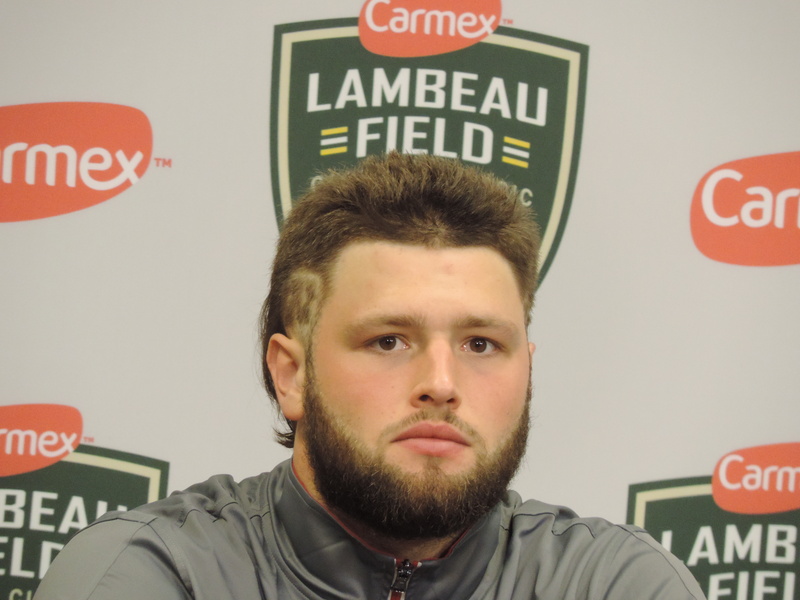 As training camp and the NFL preseason winding down, time is running out for Green Bay Packers 4th round pick, linebacker Vince Biegel to get himself ready for the start of the regular season. Packers coach Mike McCarthy announced Tuesday that Biegel wouldn’t practice this week and won’t play Saturday night in preseason game number three at Denver. 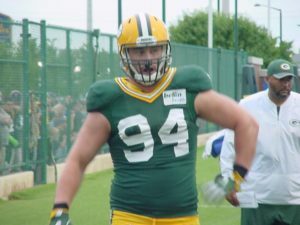 The former Badger hasn’t practiced since breaking a bone in his foot on the second day of the Packers’ rookie orientation in early May. Following Saturday’s game, the Packers will have one practice next week, followed by next Thursday’s preseason finale against the Rams at Lambeau Field. McCarthy said they want to avoid a setback with Biegel. Second year defensive lineman Dean Lowry was held out of practice on Tuesday with an unspecified knee injury. Mike McCarthy said the injury is not a long term concern. Wide receiver Malachi Dupre and defensive back Damarious Randall both return to practice after being cleared from the teams concussion protocol. Running back Ty Montgomery also returned to practice after sitting last week with a lower leg injury. The Green Bay Packers received some good news on the injury front with second year defensive lineman Dean Lowry. Lowry avoided a serious knee injury after he left last Saturday’s preseason game against the Washington Redskins. Tests showed no major damage and the injury is considered to be a short-term one. 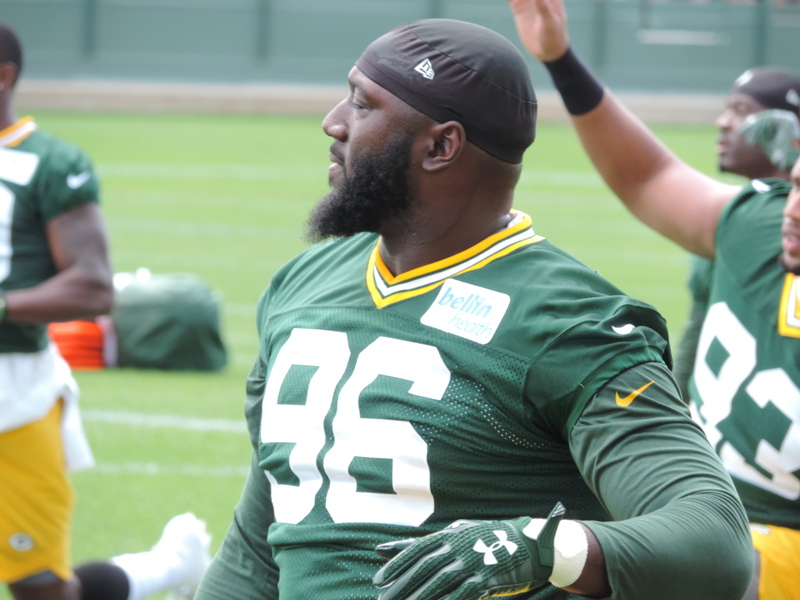 The Packers signed former University of Miami nose tackle Calvin Heurtelou, helping fill the void at the position when Letroy Guion was released this month. Heurtelou had been out of the NFL since his release by the Denver Broncos in the cut to 75 players last year. He had signed with Denver as an undrafted free agent in May of 2016. The Packers return to the practice field on Tuesday. They moved their practice time back to 3:15 this afternoon to deal with injuries and rehab from Saturday’s preseason game at Washington. Tuesday’s workout is one of three remaining practices open to the public as training camp winds down.